The Dent Blanche is one of the more demanding 4,000-metre peaks for mountaineers. Together with the Obergabelhorn and the Zinalrothorn, the mountain forms the southern end of the Val de Zinal. The German-French language border runs through here. The Dent Blanche is a powerful, largely ice-free pyramid with four ridges in the four directions of the compass. The Dent Blanche hut at 3,507 m is the highest-altitude SAC (Swiss Alpine Club) refuge in Switzerland. The hike to the cabin alone involves a climb of 1,700 vertical metres. 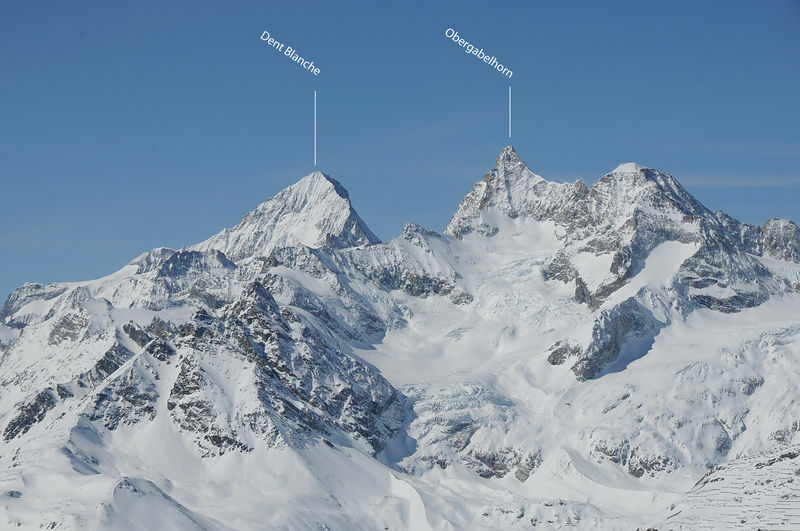 It is very likely that there was some confusion between the names of the Dent Blanche (“White tooth”) and the Dent d’Hérens, which is only visible from very few places in the Val d’Hérens. And the mountain is not as white as the name suggests – it is almost ice-free. The Dent Blanche is actually also shown at the location of the Dent d’Hérens on some old maps. The confusion is not surprising, because the first cartographers, whose experiences with mountain residents were not too good, often produced their maps from afar. 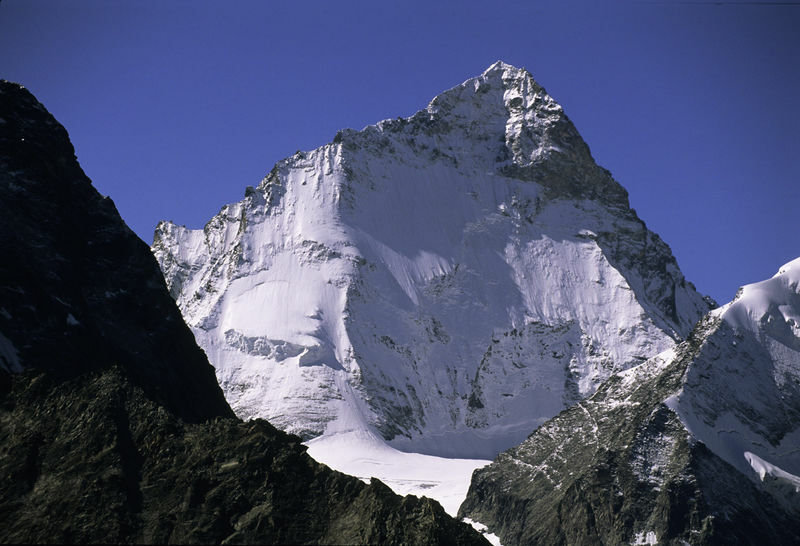 The confusion is further exacerbated by the fact that, in the middle of the 19th century, the Dent d’Hérens was known as the Dent Blanche by the inhabitants of the lower valley, and as the Dent de Rong or Dent d’Erins higher up the valley. 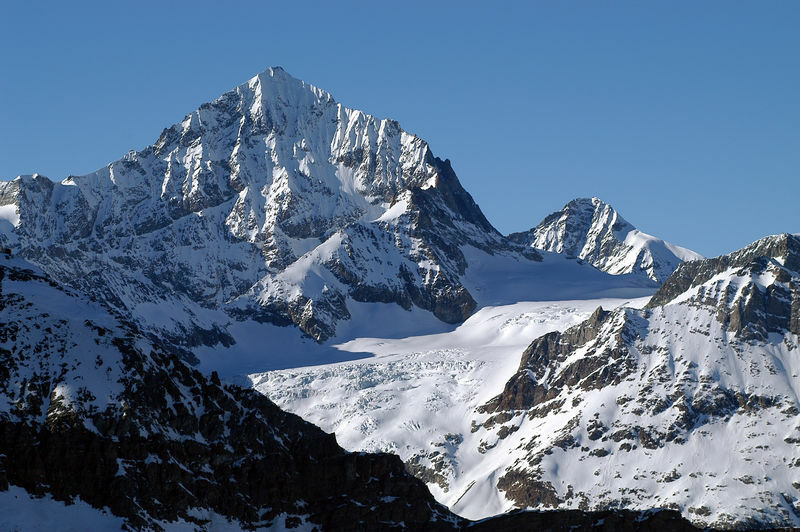 There is no current German name for the Dent Blanche, although there are historical references to the Steinbockhorn (“Ibex peak”). Not only is the Matterhorn African, so too is the Dent Blanche. Together with its neighbouring summits, they form the Dent Blanche nappe, part of the East Alpine nappe, otherwise found only in the Eastern Alps. This formed part of the African plate, and consists of metamorphous rock, gneiss and gabbro.